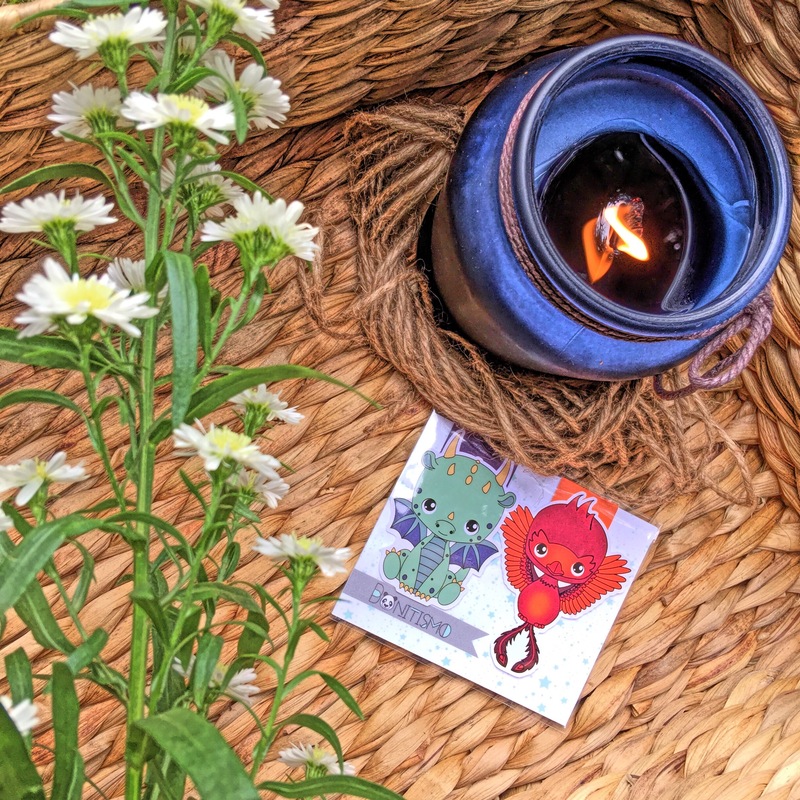 It’s been awhile, but today’s review is extra unique because this month’s FairyLoot box is their 1st Year Anniversary box with ‘Myths and Monsters’ as the theme. I’m currently taking a break from my book box subscriptions but when it was announced that the March box would be an anniversary one with a special UK edition book, I could not resist. 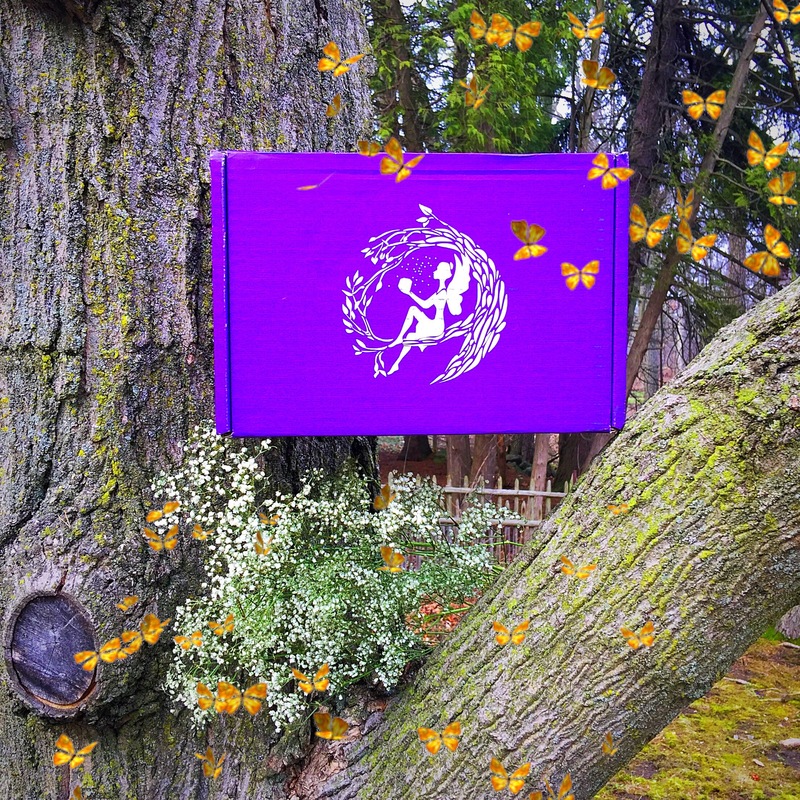 Normally, FairyLoot boxes are black but for this month, it’s freaking purple! There was no way I was going to miss out on this, so insta-buy for sure! Now, let’s find out if all the hype is warranted or if the box is better off as a myth itself in the annals of history. 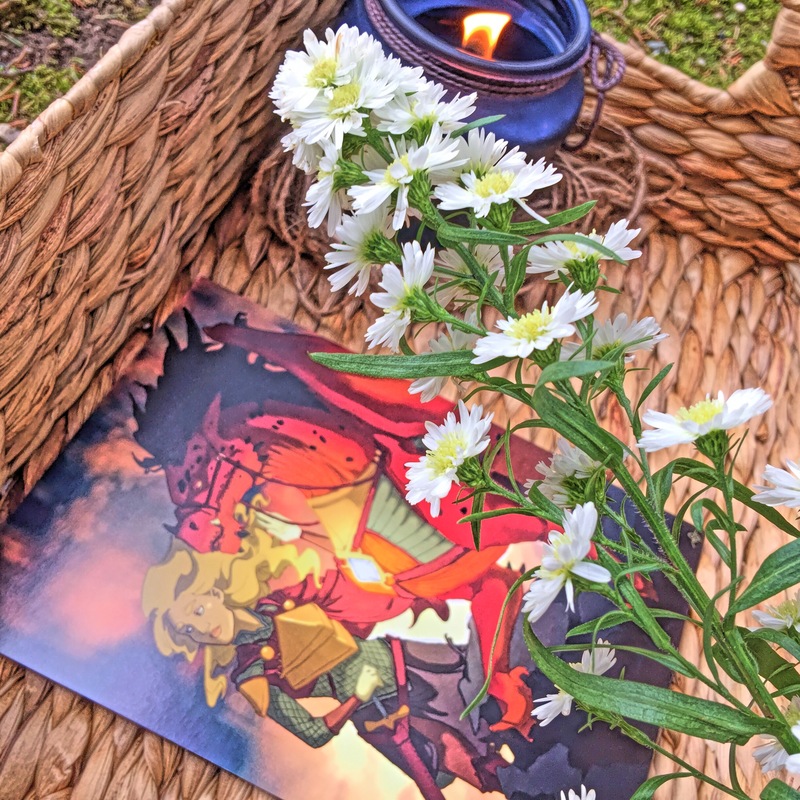 As soon as I opened the box, this illustration card with a fierce dragon and its rider was the first thing I saw. It’s quite appropriate as it pertained to the ‘Myths and Monsters’ theme. The back would have a list of the included items and the shops involved. As most, if not all, of the items were exclusive to this box, then you’d be out of luck if you wanted to get them for yourself. Of course, I skipped reading through the back as I wanted to surprise myself. Let’s get unboxing! The first item my hand encountered was the Unicorn Fairy Lights by the company Mustard. Truth be told, I was quite dumbfounded when I first saw this. While the item was certainly colorful and cute, it’s too juvenile for me. I could imagine this displayed in a little girl’s vanity mirror or cabinet…not an adult woman’s bookshelf. Also, there’s no way I would use this in my bookstagram photos so quite frankly, these fairy lights were useless to me. Plus, I wasn’t really into unicorns. A good thing that I have a friend whose little girl loved unicorns, so this item would go to a good cause. 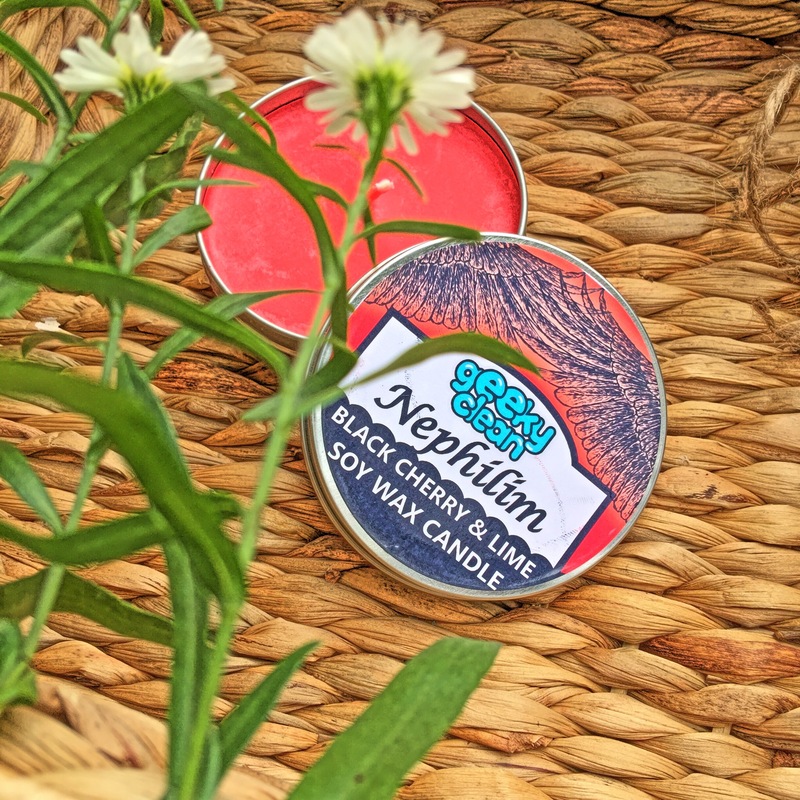 Next up was the ‘Nephilim’ candle by GeekyClean. When I thought of mythical creatures or monsters, the first things that came to mind were perhaps dragons, gorgons, minotaurs or even the kraken. A half celestial, half mortal being definitely didn’t fit the bill. Unless this was a tie in for Lauren’s Kate’s Fallen series, that would soon be a movie, then I guess that would make sense. The bad of it was I hated that book, so this candle’s only saving grace would be the accuracy of the scent. Nephilim didn’t exactly scream black cherry and lime to me. I was hoping for something earthy and subtle, but what would I know about it, right? It’s not like I had a nephilim friend to sniff, so this would be subjective, I guess. So, I went ahead and got a whiff of it and I thought of cherry icee in the movies or a slurpee in 7-11. The candle smelled exactly like what it said. Bottom line was it smelled good: sweet and tart. 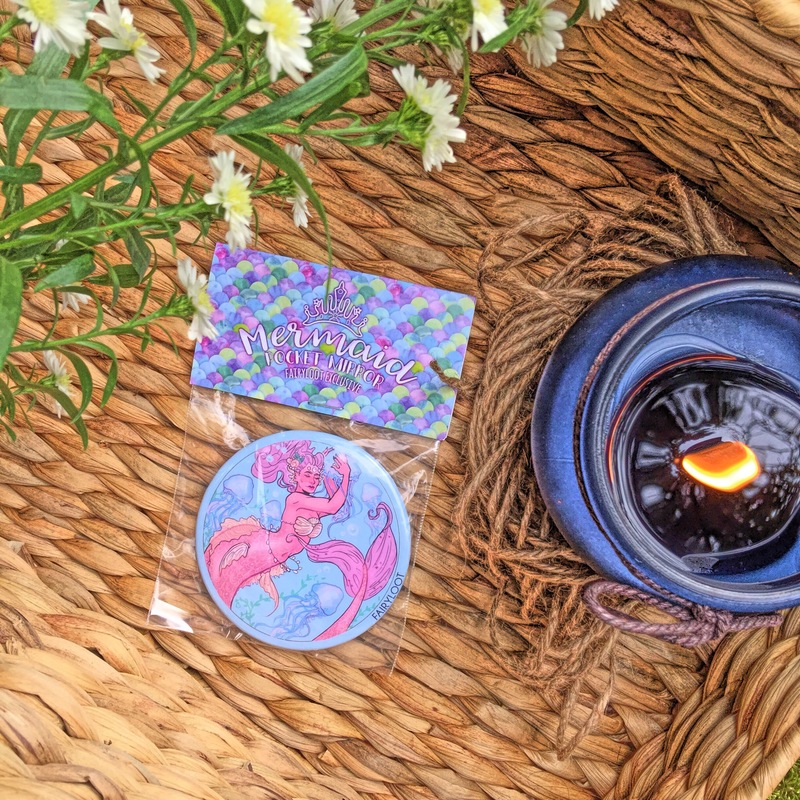 I also got a Mermaid Pocket Mirror that was designed by Book Otter. While useful, it’s not exactly an exciting item for me. The fact that I was indifferent to mermaids didn’t help. Again, this would be going to my friend’s daughter because I couldn’t see myself popping this outta my bag while I tweaked my make-up. Great art, though! This Magnetic Bookmark set by Bonitismo was more promising. I could definitely see myself using this. The dragon and phoenix designs were pretty adorable. Finally, I’m getting the mythical and monstrous vibe from these cuties! Alright, this Silver Dragon Scale Scarf by GivArt would be my favorite item out of the lot I just talked about. First, I collect scarves. Second, I love dragons. Third, I’m digging the neutral gray color because this could go well with a lot of my outfits. I was so relieved that it wasn’t hot pink or whatever girly color because from the way things were looking earlier, that was the vibe I was getting. 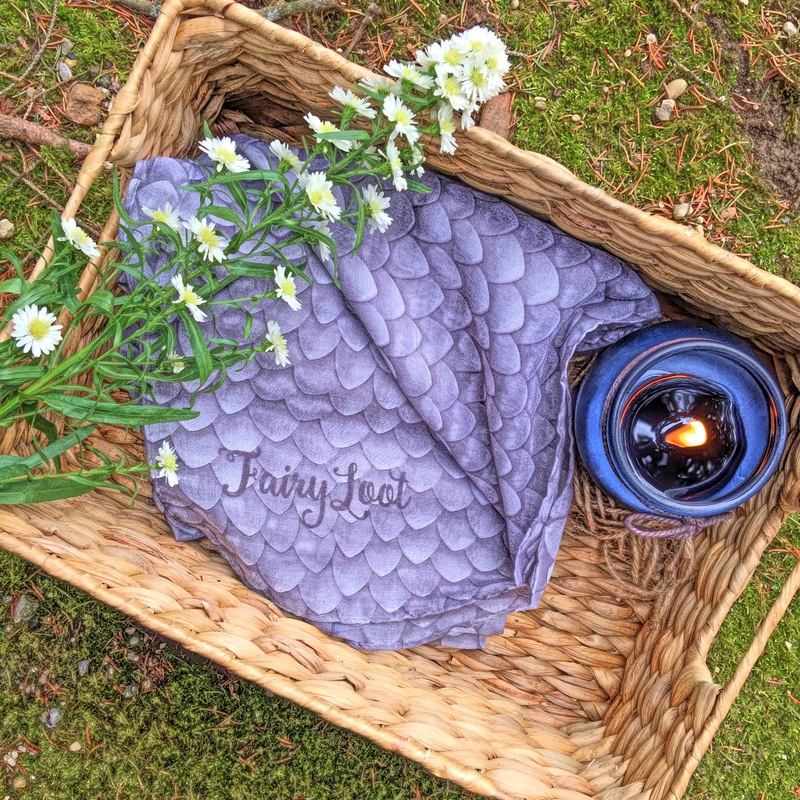 I also thought it was awesome that the FairyLoot name was included. I’m also liking the details on the scales! Apparently, this was made from a soft Balinese yarn; no idea what that is, but it sounds fancy as all get out. Bonus: it’s true that it’s soft and silky to the touch! Maybe I’d feel like the mother of dragons if I wore this around my neck! 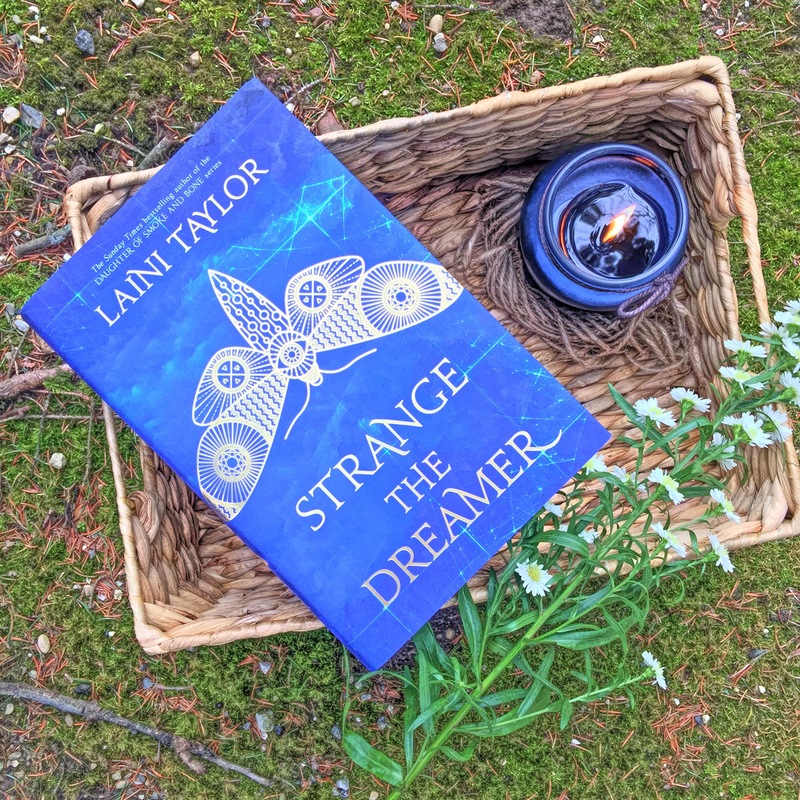 Last, but not least, would be ‘Strange the Dreamer’ by Laini Taylor. I saw her last summer during bookcon and her hair was hot pink! If the book was as fantastic as her, then I’m excited! The book was gorgeous in its blue vibrancy and I was loving the gold foil for the lettering and designs! So, what made this U.K. edition so special? First, the edges were stained blue! Have I mentioned how much I adored stained pages? Not the coffee kind, mind you. So far, I was in love with how beautiful this whole book was! 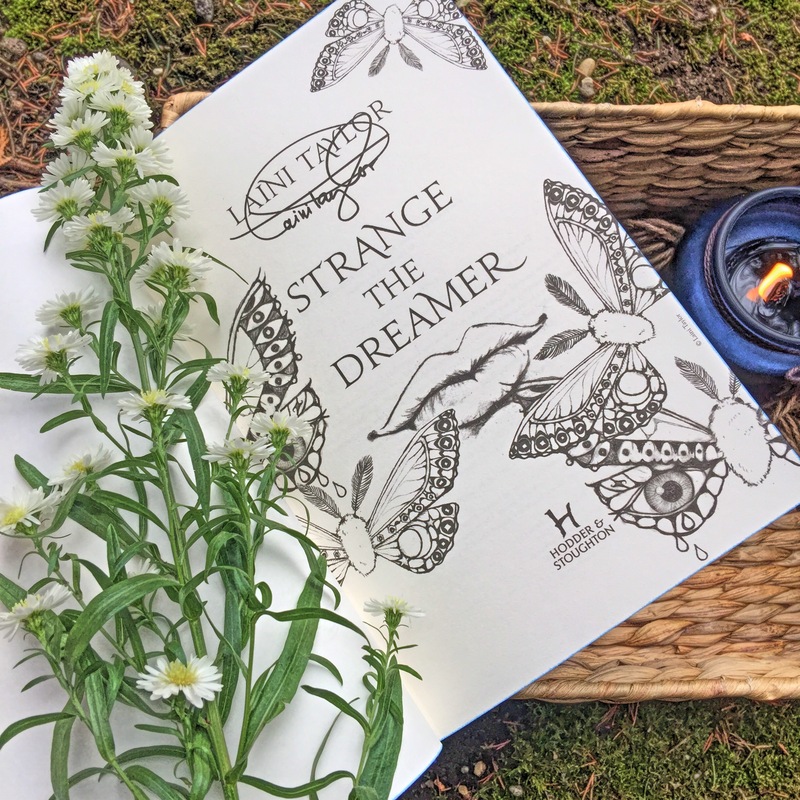 Next, the title page came with printed designs that Laini Taylor herself drew! Unfortunately, the autograph at the top was not hand signed but printed. In any case, these extra features would only be available in the first print release! 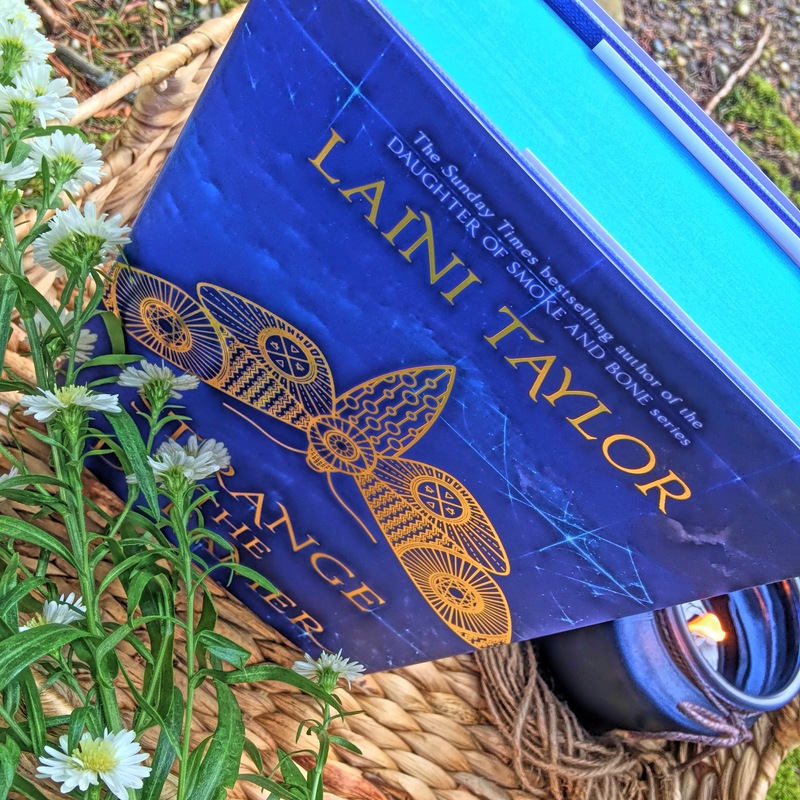 So, if you like Laini Taylor and her books, then this would be a fan must have! I’m just hoping the story would be as good as the book design- I’ve never read any of her books, so it’s a clean slate for me! Was this box worth it? Not for me. The only thing I really got excited about was the scarf and book. The rest of the items were meh…I was expecting more from an anniversary box. Something jaw dropping and squeal worthy. I could have gotten the book itself on Book Depository, but I had high expectations for the items. I took that leap of faith and crashed and burned. This would be the reason why I’m on hiatus on subscription boxes. Lately, the items the subscription box companies included were mediocre and redundant. If you liked this box, I would not begrudge you of that but for me, this box was just too girly and on the childish side- certainly not mythical and definitely not monstrous. I can understand how you feel. For a “myths and monsters” theme, this box looks kinda underwhelming. Maybe the theme should have been “fantasy creatures” or something like that. I definitely don’t think ‘Unicorns!’ when someone says myths or monsters, haha. 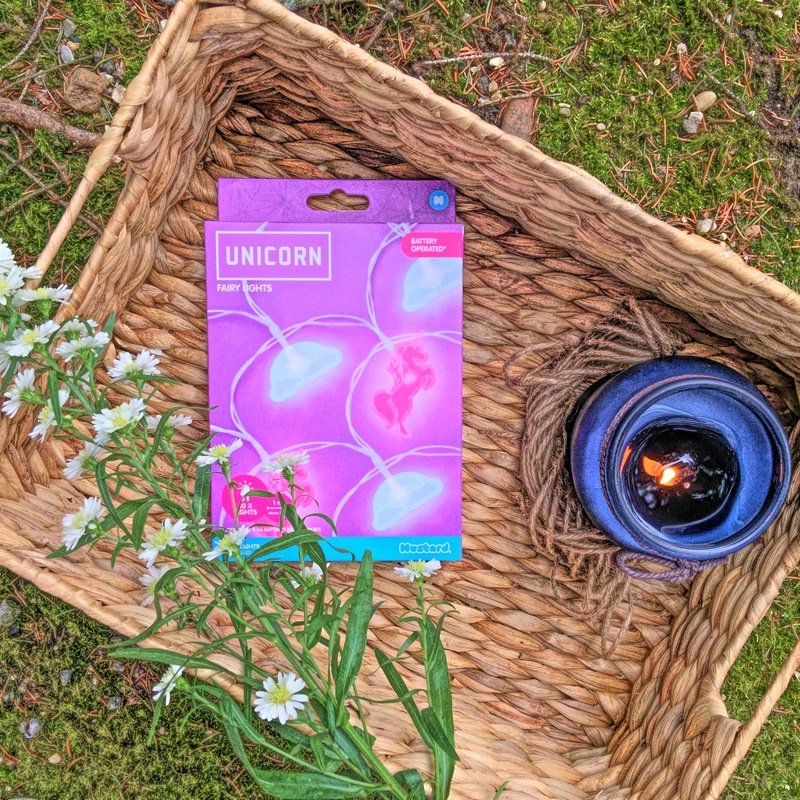 I guess at least you will make a little girl happy with those items you don’t want (I confess it, though, I would have loved the unicorn lights!). Yea…much disappointment in the satisfaction department here. Oh, no! I forgot to ask you if you wanted it! I just remembered you like fantasy creatures! I’ll make it up to you! My next snail mail is coming up soon! Oh, no! I little girl definitely deserves unicorn things more than I do! Hahaha. I was expressing my feelings towards the box. Honestly that was my favorite item (and the book with blue pages :D). I love getting mail from you soooooo much. I’ll go live outside the post office. Bye! I’m sorry you were disappointed with this box. I stayed up til 3am to try and get one of the last-chance boxes, but was unsuccessful and sad to miss out…then I saw unboxing pics and was relieved. Everyone seemed thrilled on instagram and I was like ‘um, okay, cool for you, but not seeing it!’ It’s nice to see a blunt assessment that matches mine. Yea, I didn’t watch any of the unboxings until I did mine. When I saw the others’…I wasn’t sure if they were faking it or they genuinely liked it. If they do love it, more power to them but I’m thinking, maybe you’re really despairing inside, lol!